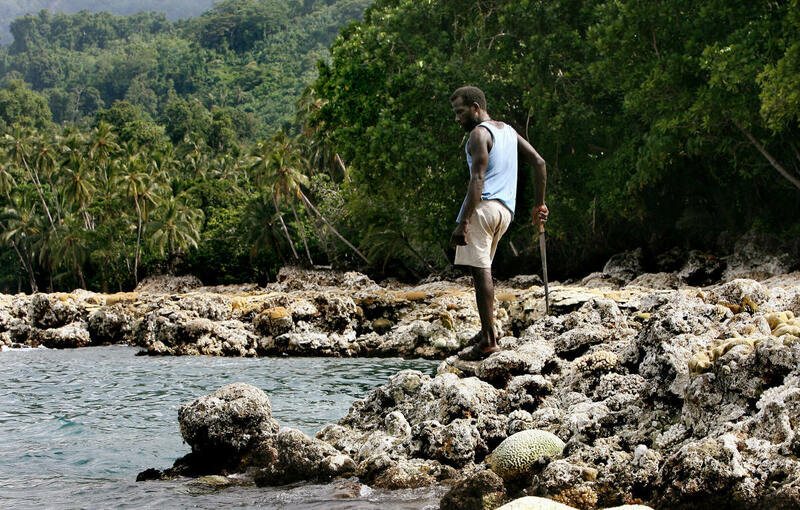 A villager looks over a coral reef in the Solomon Islands. 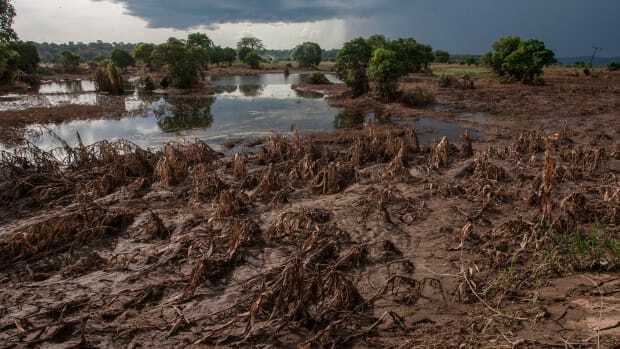 Logging in the Solomon Islands, a small country of 667,000 people in the South Pacific, is decimating natural forests there at around 19 times the rate considered sustainable, the watchdog non-governmental organization Global Witness has found. "It really is quite alarming," Beibei Yin, a senior campaigner with Global Witness, said in an interview. "If this logging continues at this really unsustainable rate, the natural forest will be exhausted by 2036." Yin led an investigation of timber harvesting in the Solomon Islands using satellite and drone images. She and her colleagues also pulled together research on the country&apos;s forests and the exploitation of this critical resource to the islands&apos; economy. They concluded that the Solomons&apos; most important customer has the opportunity—and responsibility—to address this situation. Their work revealed that much of the exported wood—more than 80 percent, by Global Witness&apos; calculations—goes to China. As other countries in Southeast Asia and Africa have tightened restrictions on timber exports through such measures as log export bans, China appears to have turned to other sources of timber such as the Solomon Islands and its neighbor, Papua New Guinea. 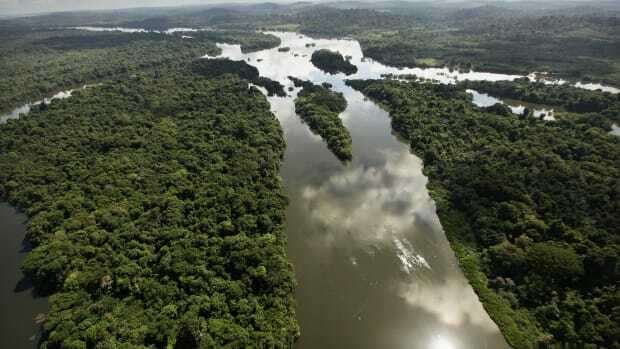 Together, these two countries account for around half of the tropical timber that China imports. According to Mongabay&apos;s analysis of Global Forest Watch data, the Solomons lost 556 square miles of tree cover between 2001 and 2017—an area half the size of Yosemite National Park—with the majority of that happening since 2010. Logging in the early 2000s wiped out all of the intact forest landscapes on two of the country&apos;s larger islands, Malaita and Santa Isabel. And the clearing appears to be continuing as more than 100,000 Global Land Analysis & Discovery alerts from GFW that pinpoint probable tree cover loss in near real-time have been recorded in 2018 alone. Both the Solomon Islands and Papua New Guinea have struggled to protect their forests and, by extension, the communities that rely on them. And China has yet to confront these issues head-on, Yin said. "There&apos;s no law in China banning this trade, meaning that all the imports are perfectly legal to take in," Yin said, "even though there&apos;s a high risk of illegality at the point of harvest." That potentially puts consumers of Chinese goods in places like the United States and Europe at risk of violating their own countries&apos; laws. Recent research published in the journal Area found that demand from the U.S. is linked to deforestation in Africa&apos;s Congo Basin to provide raw materials for Chinese furniture manufacturers. Most regulated markets, including the European Union and the U.S., have laws that require importers to verify that the products they are buying are sourced legally, Yin said. Her team&apos;s research, however, has shown that the Solomon Islands has battled illegality and sustainability issues in the timber sector for decades. Previous research found that bribes are a "common" tool used by timber-harvesting companies; that landowners either aren&apos;t informed about logging or they&apos;re coerced into signing away the rights to log their land; and that conflicts over land are among the most common type in the country. 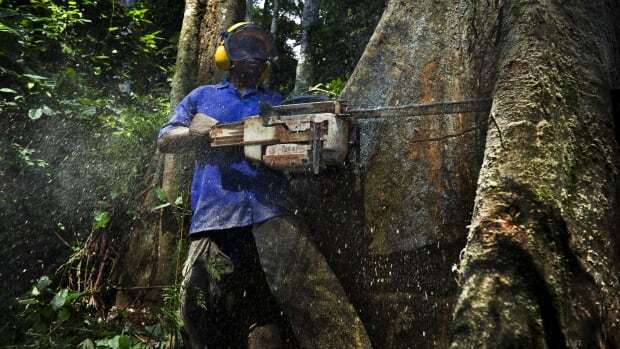 These reports also suggest that the Solomon Islands, like many timber-producing countries, is grappling with how to meaningfully enforce timber statutes, particularly in far-flung areas. Yin and her colleagues requested responses to their findings from companies in China and Malaysia, where many of the timber harvesters are based. Yin said they received no substantive replies, and attempts by Mongabay to seek comment also went unanswered. "Our documentation of this widespread risk of illegality and a very high level of unsustainability should really be alarming for Chinese businesses and policymakers," Yin said. 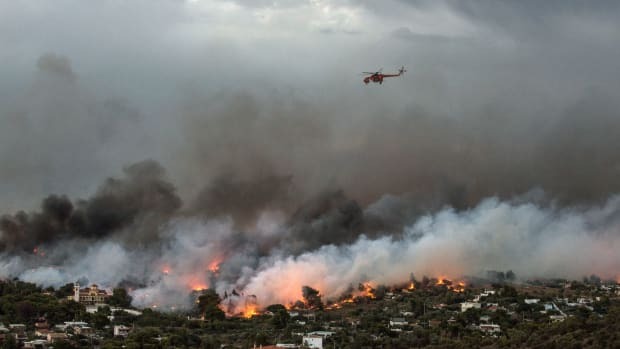 The effects are turning up not just in the areas surrounding the Solomon Islands&apos; forests but also in the country&apos;s bottom line, said Bill Laurance, a tropical ecologist at James Cook University in Australia, who was not involved in the Global Witness analysis. Laurance&apos;s team studies infrastructure development across the region with a special focus on roads. Global Witness found that the Solomon Islands has more than 7,460 miles of roads in an area of land that&apos;s just twice the size of Beijing. "Our work in the Solomons shows that the environmental costs of rampant overlogging have been massive, but just as bad is its impact on the economy," Laurance told Mongabay in an email. "Now, the Solomons is running out of marketable timber, and its national economy is falling off a steep cliff as a consequence—a classic boom-and-bust scenario." The country ranks 152nd out of 189 countries on the United Nations&apos; Human Development Index, and each citizen&apos;s share of the gross national income is around $1,900—about the same level as Rwanda, Mali, and Afghanistan. What&apos;s more, Laurance said, "China has been right at the heart of the crisis." 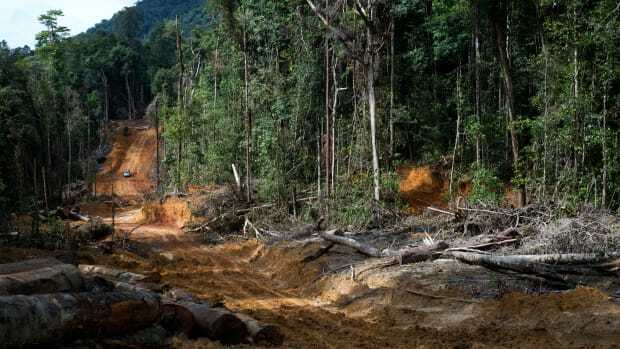 Global Witness called on the Solomons to impose a moratorium on logging to allow an evaluation of existing logging efforts for sustainability and legality. But with China&apos;s central role, the organization is also asking China to extend its commitments to addressing climate change and the illegal timber trade beyond its borders, both as a way to protect the forests of countries like the Solomon Islands and also the countries it does business with. Chinese laws should require that companies verify that the timber they import has been harvested sustainably and legally, the group says. "All of us need to be worried about consuming and being part of this force that destroys forest in the Pacific," Yin said. "Time is really running out, as many of China&apos;s tropical trading partners&apos; forests are really being devastated." A recent study illustrates the connection between consumer demand in the U.S. and increased furniture production in China, which is, in turn, fueling logging in Central Africa. The Trump administration has posited that more active management of forests could help prevent future fires, but the science doesn't back that up. A recent study in Malawi found that deforestation can reduce access to safe drinking water. And with tropical forests storing almost 250 billion tons of carbon, their fate has major implications for the Earth's atmosphere. Forest soils recover from disturbances slowly over many years—up to 80 years following a wildfire and as many as 30 years after logging, much longer than previously thought.